Processed in Adobe Photoshop Lightroom 5, like the other and this. Fabulously beautiful. Congrats on the blue. Top flight image, justly awarded the blue. Congrats my friend, one great moment and frame. No surprise to see this finish here. Superb. Congratulations on the Blue, Otto -- and your new Personal Best! This is beautiful. Magnificent shot of a breathtaking landscape. And it all reflects in your score as well! Congrats on this superb Blue! Iceland, where else! Congrats on the fantastic score for a fantastic image. 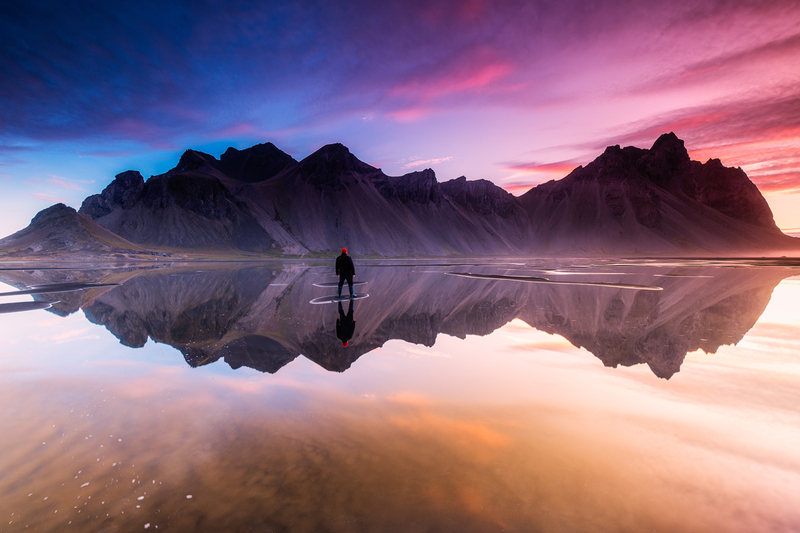 Iceland looks an incredible place and you have kindly shared some of its magic with this incredible photo. Congrats! Thanks for letting us share the views. the very calm water produces a perfect reflection. The landscape is stunning - Iceland, isn't it? I predict a ribbon! I have to give you an 8 for location, if nothing else. Beautiful shot! More contrast maybe? Gorgeous clarity and colours, probably the winner for sure. I really like this but the sky colors feel too unnatural. This is incredible photograph. I just stopped while voting as this showed up. Clear winner, where is this? Proudly hosted by Sargasso Networks. Current Server Time: 04/25/2019 09:52:08 AM EDT.